We warmly welcome you to Hotel Elisabeth *** SUPERIOR – Look forward to family-like hospitality in a heartfelt ambiance. 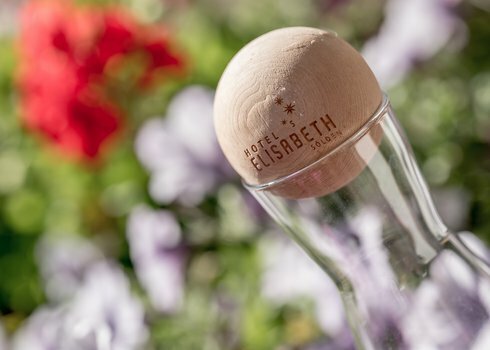 Scenic Hotel Elisabeth *** SUPERIOR promises a high level of well-being thanks to its genuine Tirolean charm, clearly defined design elements and deeply rooted traditions. Let us spoil you from top to toe with fine culinary treats by our excellent kitchen and service team, and indulge in the many little details showing love and happiness. Wishing you great fun while flipping through our new online pages, we very much look forward to welcoming you soon. Kalkus Brigitte with Martin, Elisa, David and their friendly team of Hotel Elisabeth in Sölden, Ötztal. Your hotel right next to Gaislachkogl mountain gondola. Since the autumn of 2011, our homely rooms, suites and hotel apartments offering all modern comforts, our wellness parlor incl. indoor pool and our fine restaurant with hotel bar and open fireplace promise superb holidays of a very special kind in a premium location. 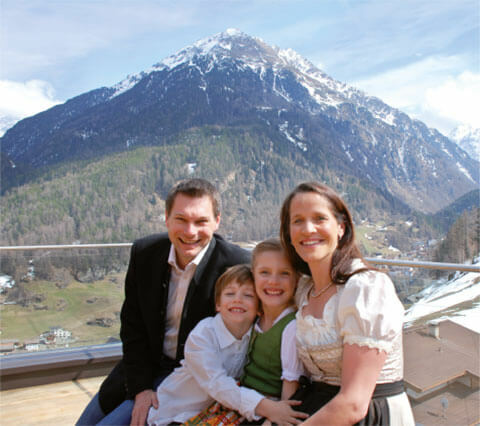 Be it in summer, autumn or winter - Hotel Elisabeth always makes an outstanding holiday retreat amid the majestic Ötztal mountains!